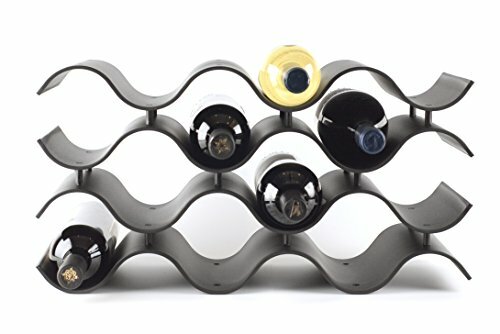 Wave Wine Rack. Stylish and innovative way to store your wine at home. Strong and Modern Design. Its modular design is simple to assemble and require minimal hassle. Perfectly sized for kitchen counter top, this wine rack makes a great addition to any kitchen or home bar. Sold Exclusively by Birando. Beware of cheap imitations. If you have any questions about this product by Birando, contact us by completing and submitting the form below. If you are looking for a specif part number, please include it with your message.